Most parents yell at their kids at one time or another. However, for some parents, yelling becomes a bad habit. Studies consistently show that yelling is one of the eight discipline strategies that can actually make behavior problems worse. And that can lead to a vicious downward spiral; yelling leads to bad behavior which leads to more yelling. Yelling loses effectiveness over time. 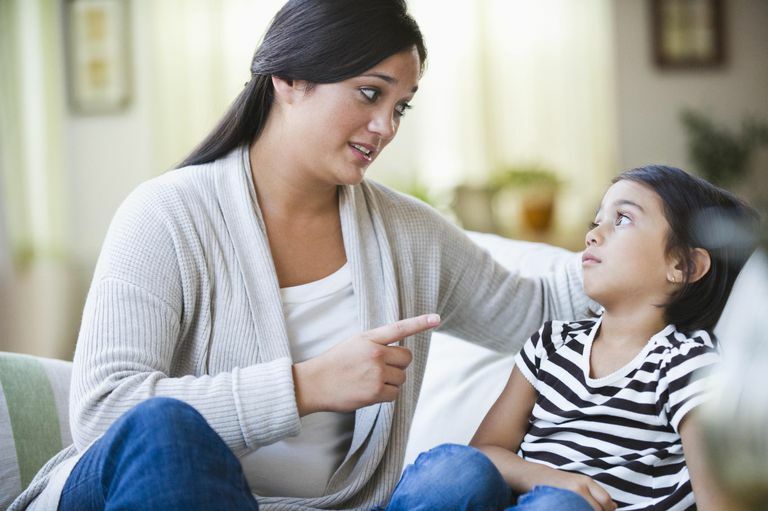 A child who gets yelled at on a regular basis will begin to tune you out. Another problem with yelling is that it doesn’t teach kids how to manage their behavior better. If a child gets yelled at for hitting his brother, he won't learn how to resolve problems peacefully. You’ll be less likely to resort to yelling if you’ve established clear household rules. Keep a written list of household rules prominently displayed. When rules are broken, follow through with an immediate consequence. Resist the urge to yell, nag, or lecture as your words aren't likely to teach your child to do better next time. Explain the negative consequences for breaking the rules to your child ahead of time. Use time-out, take away privileges, or use logical consequences to help your child learn from his mistakes. For example, say, "If you don't do your chores before dinner, there will be no TV for the night." Then, it's up to your child to make good choices and you'll be less likely to yell at him about doing his chores. Consider which consequences are likely to be most effective . Keep in mind that the consequences that work well for one child may not work for another. Motivate your child to follow the rules by using positive reinforcement. If there are negative consequences for breaking the rules, there should also be positive consequences for following the rules. Praise your child for following the rules. Say something like, "Thank you for doing your chore list right when you got home today. I appreciate that." Give your child plenty of positive attention to reduce attention-seeking behaviors. So set aside a little one-on-one time each day to motivate your child to keep up the good work. If your child struggles with particular behavior problems, create a reward system. Sticker charts work well for younger children and token economy systems can be effective with older children. Reward systems can help turn around behavior problems fast. If you find yourself yelling at your child, take a look at the reason why. If you are yelling because you’re angry, learn strategies to calm yourself down so you can role model healthy anger management strategies. Take a self-timeout or control any upsetting thoughts. Unless it's a dangerous situation, wait until you are calm to discipline your child. If you’re yelling because your child doesn't listen the first time you speak, try new strategies to get your child’s attention. Practice giving effective instructions without raising your voice. Finally, if you’re yelling at out of exasperation, develop a clear plan to address misbehavior. Often, parents yell empty threats that they never plan to follow through with but just don’t know what else to do. Instead of yelling, give your child a warning when she doesn't listen. Use an if...then warning to tell her what the consequence will be if she doesn't listen. Say something like, "If you don't pick up your toys right now, then you won't be able to play with your blocks after dinner." Yelling often leads to a power struggle. The more you yell at a child to do something, the more defiant she might become. A clear warning that you plan to enforce shows your child that you're serious about being in charge. Avoid nagging or repeating a warning over and over. Instead, follow through with the consequence to show that you mean what you say. Consistent discipline is the key to getting your child to change his behavior and become more compliant. Keep in mind that taking away electronics for 24 hours or assigning extra chores will help your child think twice about breaking the rules again. Those types of consequences will be more effective than raising your voice at her.